Embraced by a looping meander in the River Bure, 17th century Hoveton House has been owned by the Blofeld Family for over three centuries. But they’re not the only ones to be living on the vast, 1500-acre estate. Moorhens, kingfishers and herons frequent Hoveton Great Broad, considered the most secret lake in the region, and deer roam discreetly throughout the woods. Then there are the Boggles and the Twiggles. Heard of them? Maybe not. But, prepare yourself, because these mythical creatures are sure to become your children’s next obsession. 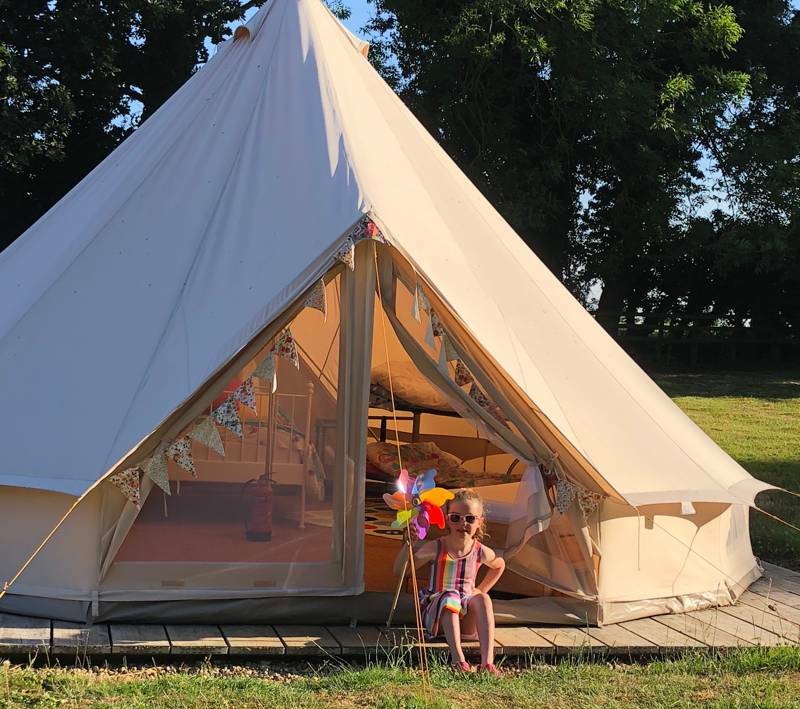 Set in plum tree grove, a woodland clearing in the heart of the Hoveton Estate, Amber’s Bell Tent Camping comprises eight canvas bell tents, scattered across a partially wooded, four-acre space. 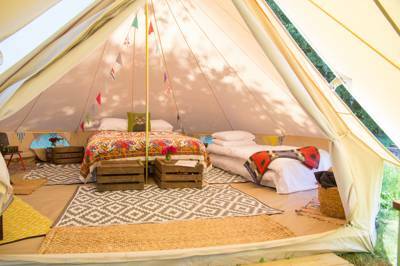 The collection of bell tents – one of multiple glampsites set up by Norfolk-local Amber Wykes – each contain a double bed with the option of added singles to accommodate up to five people per tent. 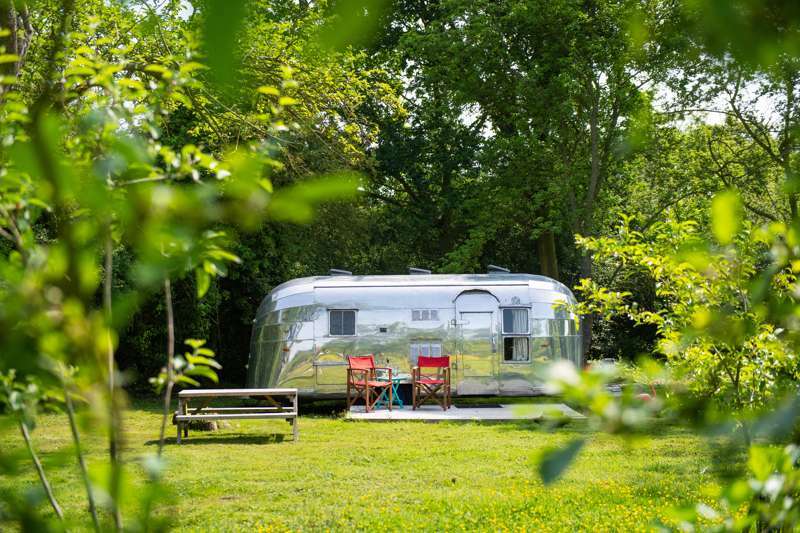 Expect all the luxury trimmings you need – comfortable bedding and linen, bunting, cooking equipment and a wood-burning stove to keep you warm – plus use of the brand new, purpose-built washblock a short stroll away. 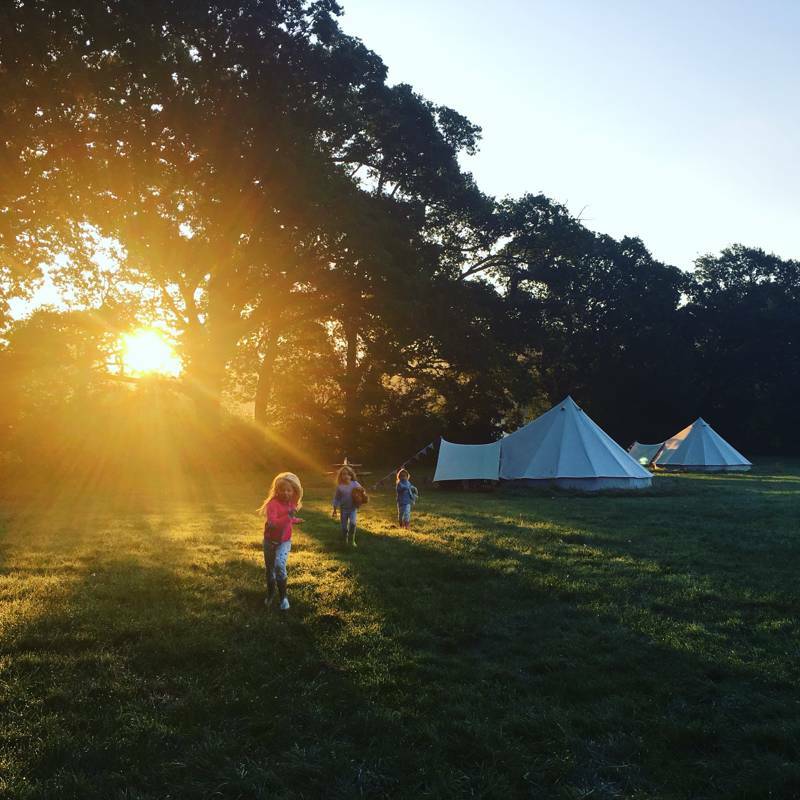 The cotton canvas of the bell tents and the setting among the trees means this is still a glamping site with a real spirit of the outdoors. 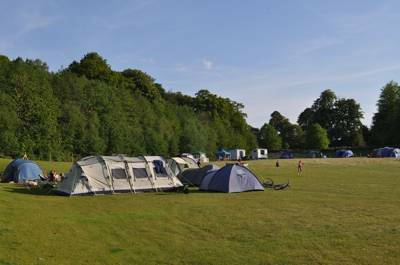 Campfires are allowed, children can climb trees and rope swings have been set up for little explorers. But the adventure of the surroundings pales in comparison to the wonderland that is Bewilderwood, a short walk away. 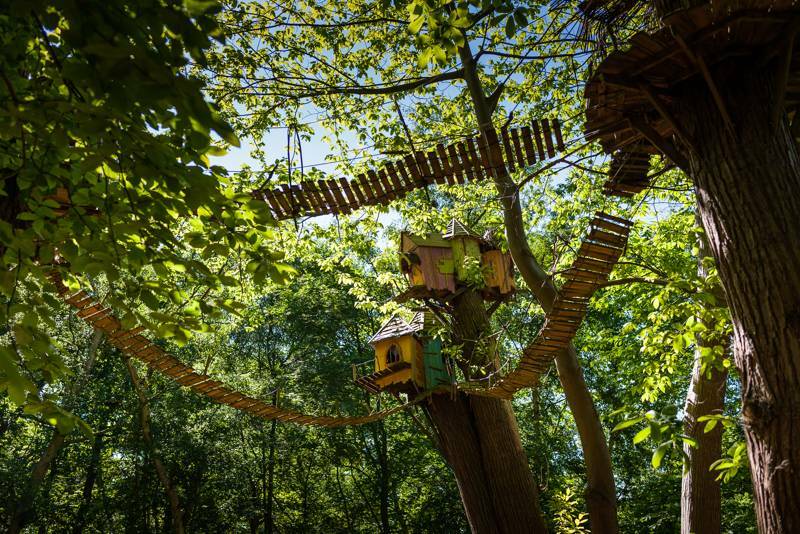 A woodland adventure with treehouses, rope-bridge walkways, zip lines, slides and monkey bars, this award-winning, fairytale land is home to the aforementioned Boggles and Twiggles; strange creatures that lurk in the forests and swamps. Via boat rides and treetop walkways you can take the place in, from Tiptoe Valley and Twiggle Village to Long Lagoon. It’s not all tales and make believe, though. 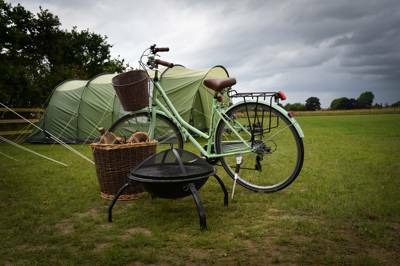 You can hire bikes by the Bewilderwood entrance and cycle into nearby Wroxham, the gateway town of the Broads, where boats are available by the hour for pottering around on the River Bure, Wroxham Broad and Hoveton Great Broad. 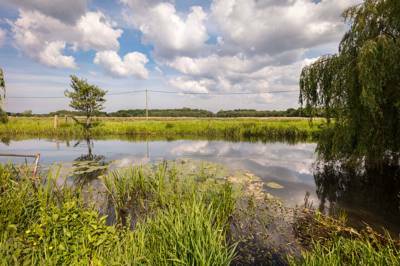 Canoes and kayaks are also available, for exploring the back waters either alone or by guide, while, on dry land, the 18-mile steam train trip to Aylsham, on the picturesque Bure Valley Railway, is a delight. It’s 20 minutes drive to the Norfolk coast and the same into the centre of Norwich. The magnificent gardens, glass house and arboretum of nearby Hoveton Hall is also open to visitors (10:30–5pm; closed Saturday). 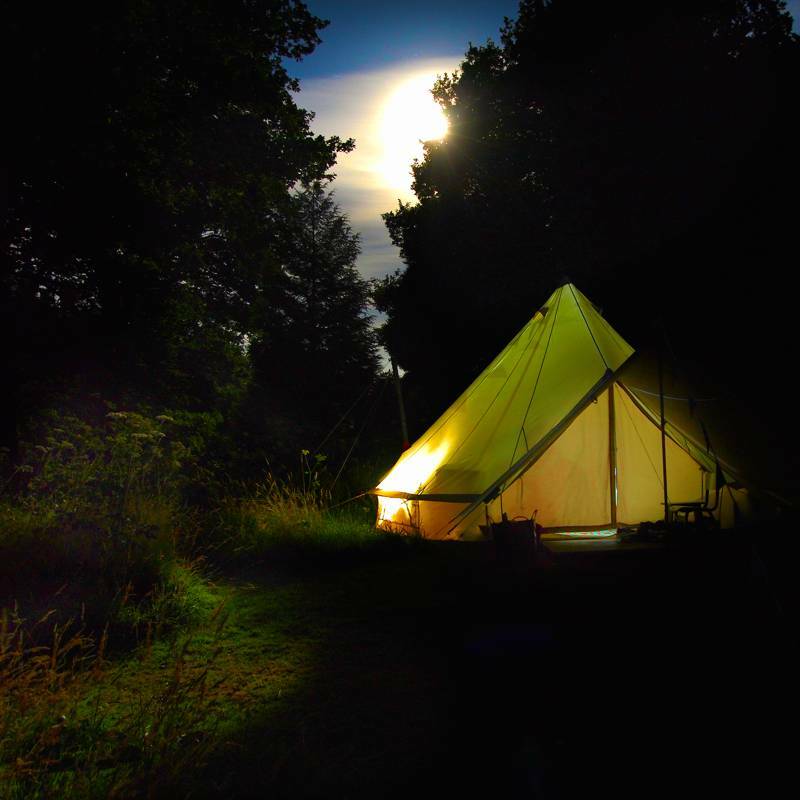 For latest availability and best prices for Amber's Bell Tent Camping at Hoveton Estate, please use the Date Search above. 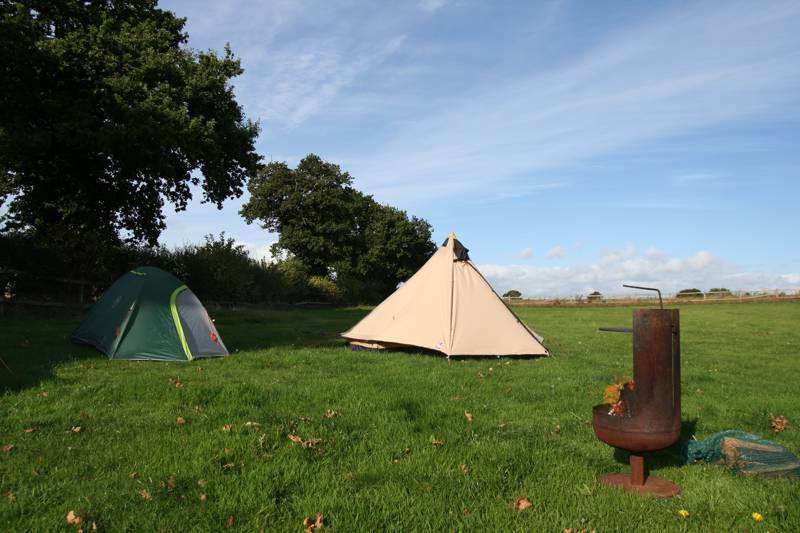 Bell tents from £95 a night.